We offer a large selection of steel storage containers for sale in New Jersey and across the Tri-State area. Jake Containers sells both new and used shipping containers to customers in the construction, commercial & industrial, hospitality, municipal & government, and even residential markets! 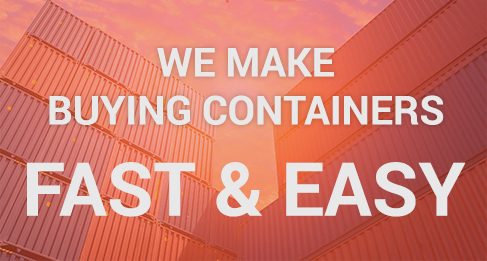 The proximity of our office and yards to New Jersey, Pennsylvania, Connecticut and New York make it easy and affordable to deliver cargo containers to you! Alternatively, you can send one of your delivery carriers to our facilities to pick up your steel storage containers. 20-FOOT STORAGE CONTAINERS are the industry standard for portable storage and intermodal transportation. Jake’s 20-foot steel storage containers are easy to load, access, and handle. 40-FOOT STORAGE CONTAINERS represent tremendous value when the job calls for capacity. They are a great option when you need to store larger equipment and do not plan on moving the container around. 40-FOOT HIGH CUBE STORAGE CONTAINERS are a foot taller than a standard 40 foot steel shipping containers, thus providing additional space. This extra room can be used to stack material higher and to hold lightweight, spacious cargo. 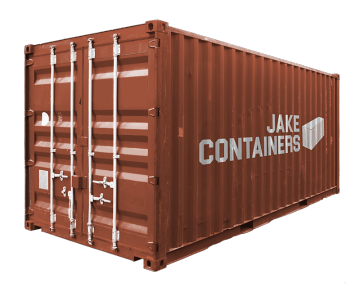 Jake also provides specialty container equipment not included above. Additional equipment available includes 45′ high cube containers, 20′ double door shipping containers, 40′ double door shipping containers, open top containers, flatrack containers, insulated containers and refrigerated containers. Want to modify your container? Containers can be customized in many ways. We offer a variety of modifications from doors and windows to vents and lights. Container modifications include painting, security lockboxes, personnel doors, rollup doors, windows, additional venting, full mobile office containers and more…. Call a member of our friendly sales team to discuss modifying your container.